Christmas is two days away. You have been keeping us very busy at the store this last month, and we’re looking at lots of empty spots on the walls and shelves. We want to report that your ornament donations (from the last post) today comes to $800+ 🙂 Great job! We knew that our customers are generous, and it shows! 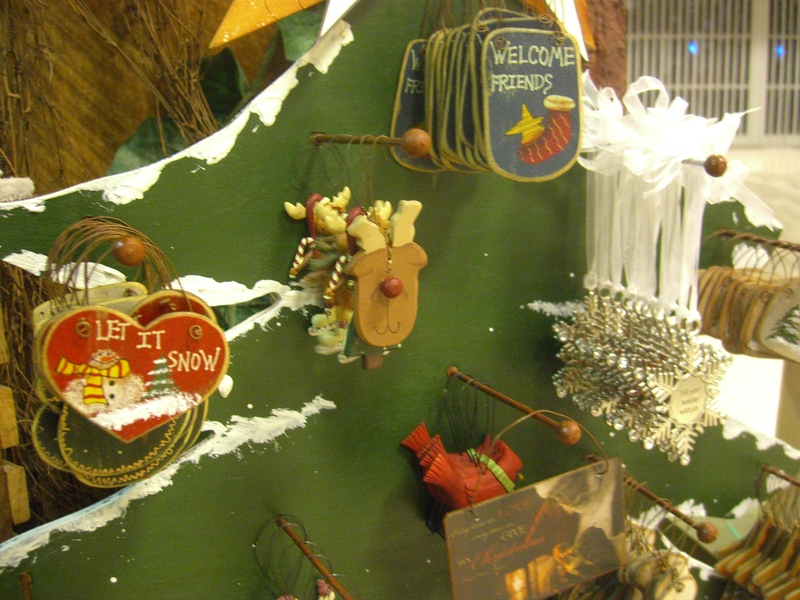 There are still some ornaments on the display, and we will continue to accept donations thru the end of December. It would be great to surpass $1,000! Donations will be divided between the Hanover Red Cross and New Hope Ministries. We close early tomorrow – Christmas Eve – but open at 7:00 Thursday morning! For several years at Christmas time, we’ve offered a variety of ornaments to our customers for a cash donation that we passed on to our local Red Cross. 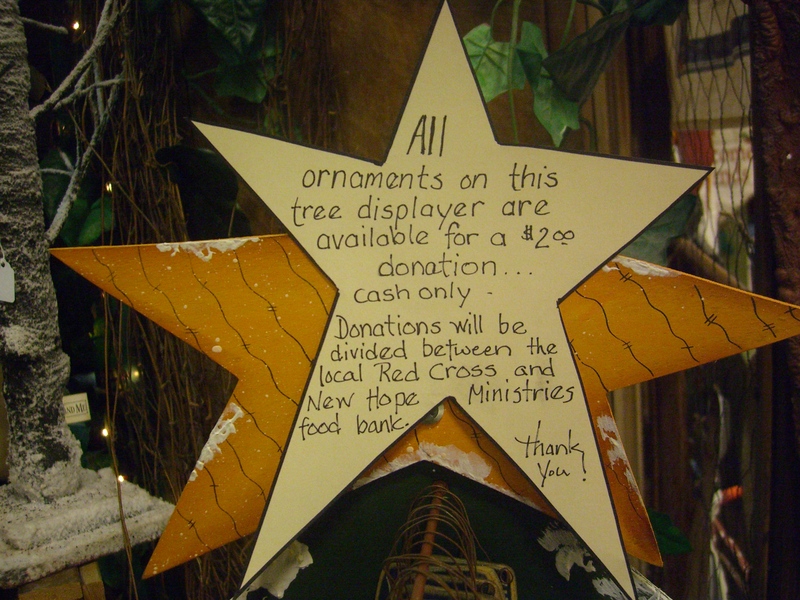 This year, we have a tree display with lots of ornaments that are available with a donation that we will divide between our Red Cross and New Hope Ministries which has a food bank in the basement of the Red Cross building here in town. 100% of your donation will go to these two organizations before the end of December. At this point, you have donated a total of $198. We hope to multiply that amount in the next two weeks. 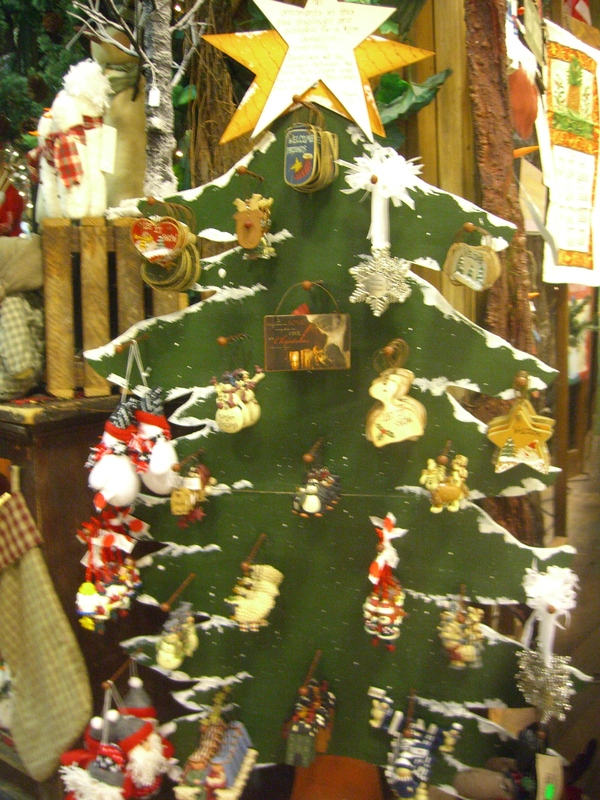 Stop by and pick out several ornaments – for a great cause!